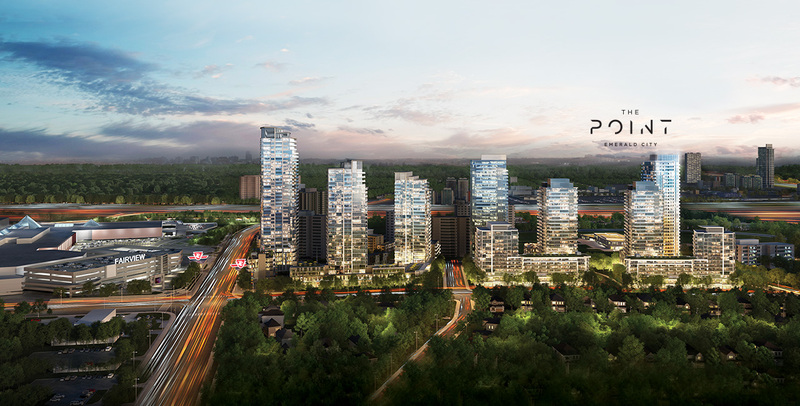 Elad Canada is back with a bang as they have just introduced their new project named as The Point Emerald City Condos. This brilliant and new pre-construction condo development is located at Don Mills and Sheppard E in Toronto. With North York Civic Center in close proximity, The Point Emerald City Condos is being built at a prime location. The Point Emerald City Condos are just steps to TTC and Don Mills subway and have easy access to the Highway 401 and 404 which makes them more approachable and convenient to travel around the city. Fairview Mall is also located near The Point Emerald City Condo offers its prospective residents their own personal shopping mall. The North York General Hospital and Sheppard Subway Station are also a short distance away. This preconstruction condo development near Seneca College presents an amazing investment opportunity to investors because their prices are expected to rise in the future due to the rapid and continuous developments in the area. Moreover, students at Seneca College are also likely to rent these condos in the future which makes them a potentially lucrative investment. Why The Point Emerald City Condos?